Despite the fury Hurricane Florence unleashed along the coastline of the Carolinas, areas with wide sandy beaches and high dunes fared well in the face of an unprecedented onslaught of storm surge and waves, according to the American Shore & Beach Preservation Association (ASBPA). Initial assessments are still being compiled, but the first wave of data and aerial photographic comparisons indicate wide restored beaches combined with a health dune system stood up to the prolonged pounding of Florence’s waves and surge. 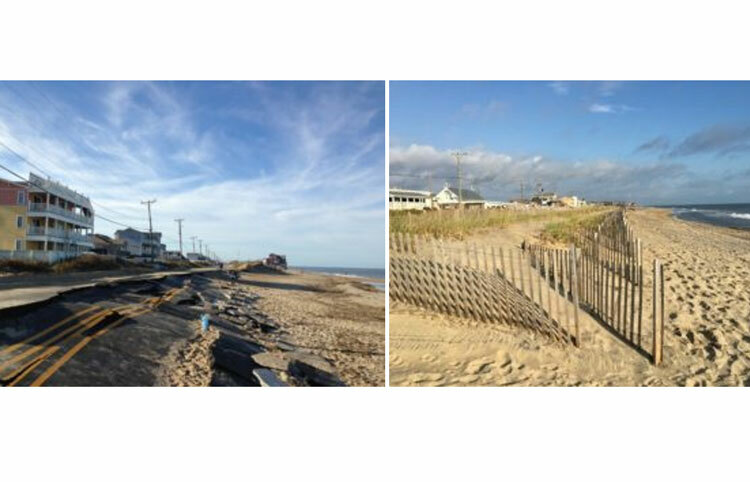 This protection not only spared upland properties from catastrophic damages, but enabled coastal communities to recover more quickly and re-open for returning residents sooner.